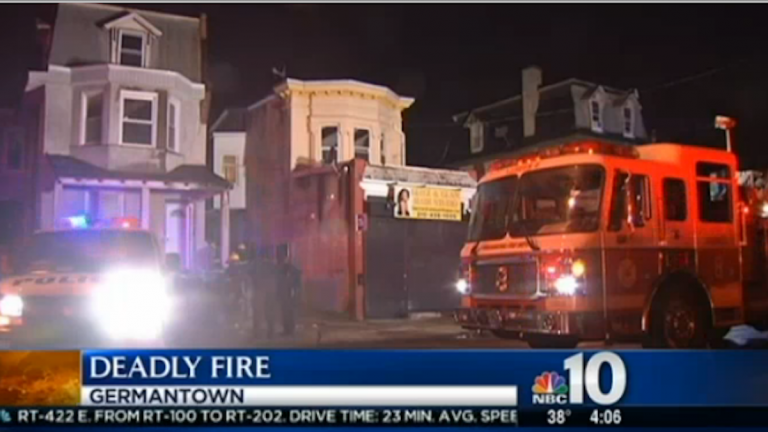 A Sunday night blaze on East Chelten Avenue left one man dead and four police officers injured, according to a report from NewsWorks content partner NBC10. Smoke was visible from the second floor of a Germantown boardinghouse when firefighters arrived at the scene just after 11 p.m. Sunday. While the fire was quickly under control, firefighters found a man dead inside a locked room on the second floor. The police officers suffered minor injuries while trying to fight the fire with an extinguisher before firefighters arrived, according to Philadelphia Fire Commissioner Derrick Sawyer. NBC10 reported that the cause of the blaze remained under investigation early Monday but it appeared to be electrical, according to firefighters.